Hi, I’m Jill, a thirty-something year old based out of Ottawa, Canada. I’m not only a traveler but an adventurer too! If there’s a mountain to climb, a reef to dive or a river to paddle, it’s likely on my bucket list. Some of my past adventures have lead me to rappel down waterfalls in Costa Rica, go bamboo rafting in Thailand, ice climb on Europe’s largest glacier in Iceland, ride a camel into the Thar desert in India, drive my own dog sled in Quebec, Canada, and snowboard in the mountains of Japan. I inherited the travel bug from my parents, (Canadian mom and Czech expat dad) and grew up doing many road trips in Canada with my family. My first great travel experience was when I was 16 and traveled to Europe with my dad and brother. We did a whirl wind tour of 6 countries in 2 weeks, visiting about 100 relatives (ok that might be exaggerating…but just a little). 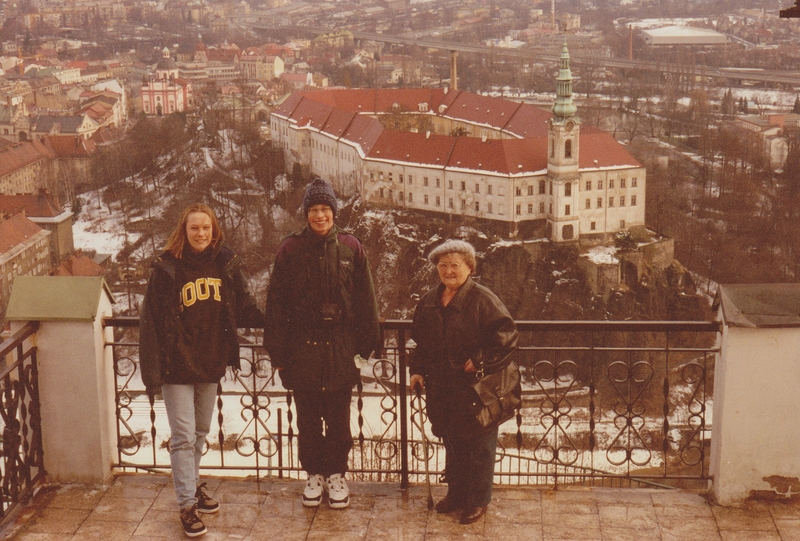 My grandmother, brother and I over looking the Decin Castle, Czech Republic (1997). 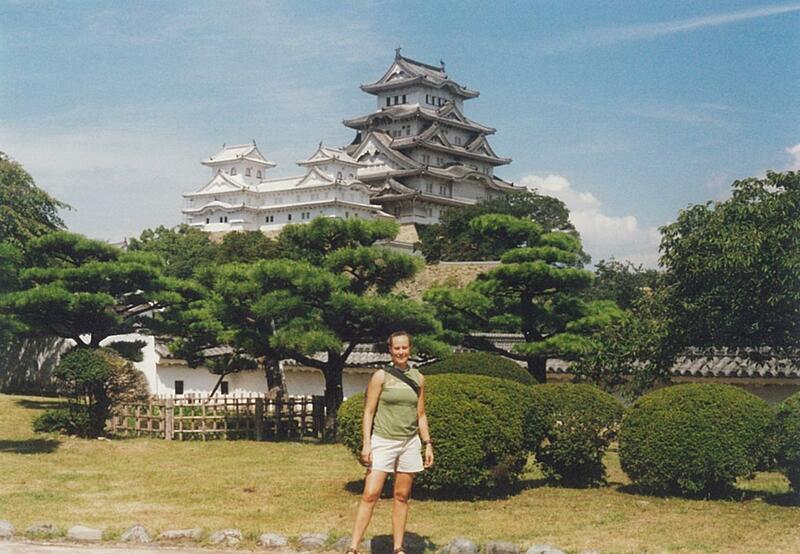 My love affair with travel really took off when, three days after graduating from university, I moved to Japan alone to teach English for a year. This was one of the scariest but most empowering things I’ve ever done. It also gave a very different view of a completely different country, one I would not have experienced had I been traveling through vs. living in. Since then I’ve been feeding my passion for travel and outdoor adventure by exploring this world both at home and abroad. Canada is such a large and wonderfully diverse nation, there’s always a new adventures to experience! I decided to start this blog to document and write about my travels, outdoor adventures, experiences, and thoughts as I explore this planet. It excites me to have my own travel project to work on wherever I am in the world! I see this blog as my doorway into the world of travel and a way to connect with others, all over this magnificent planet, who share this same passion. While I don’t travel full-time my mind is usually wandering the globe, extending my already long bucket list. Outdoor adventures are literally everywhere and I’m on a mission to experience them all. I hope this blog will inspire, entertain, excite and inform you about this wonderful world we live in! Llama selfie at Machu Picchu! Sounds wonderful. I want to read it all. This sounds like our kind of blog to follow 🙂 Great to have found it! Happy travels! Why thank you! I’m glad you like my blog and yours isn’t to shabby either! 🙂 Good luck walking the Camino, I’ll be following along! Hi there! I love reason your blog so I’ve nominated you for a Liebster Award! Learn more at http://everymileblog.com/omg-liebster-award/ Congrats!